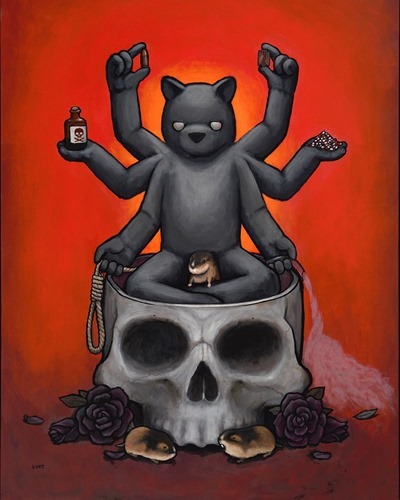 Get excited, Luke Chueh is set to open Anthropomorphucked—his first LA solo show in 3+ years—at Corey Helford Gallery in DTLA on Saturday, September 8th 2018. Luke recently posted the first painting reveal from the new collection and it’s pretty incredible. The (Self) Destroyer tackles a dark subject with cleverly positioned (ahem) bits of humor. The mix of different levels of rendering from the classic looseness on the signature bear to the tighter, more detailed skull and furry friends works really well. Can’t wait to see what else Luke’s come up with for the show! While there are a handful of vinyl stores in LA, there are far fewer in the surrounding counties. So we’re happy to hear that Chuckwa a new boutique carrying designer vinyl + lifestyle apparel has recently opened in Fullerton (Orange County). Based on a quick look through their web shop, the store carries a fairly broad selection of vinyl including figures from Kidrobot, Play Imaginative, Toy2R, Muttpop and more. On the clothing side, Chuckwa carries Gama-Go, Little Dragon Girls, Martin Hsu, and Oddica. 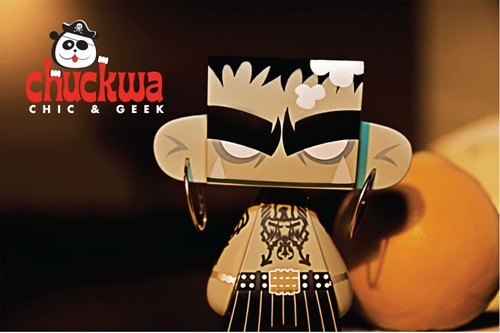 Chuckwa will also soon host art shows in their large gallery space. Great news for OC and SoCal. We wish Chuckwa well – congrats on the opening. Vinyl is global. Recently we featured the first vinyl store in Israel. 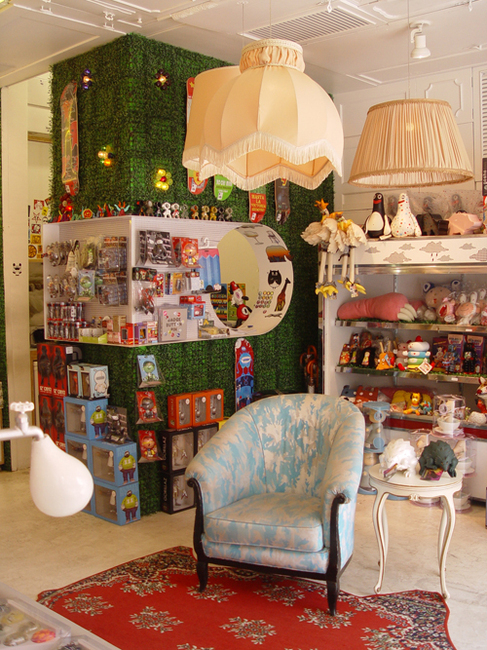 Today we're checking out Plastik -- the only designer toy store + gallery in Brazil. Opened in '06, the store offers the latest vinyl in a stunning environment with atmosphere and personality to spare -- clawfloot bathtubs as toy displays? Yes, please. They are also making waves in terms of promoting designer toys -- their print campaign recently won a silver award at the CLIO 2008 awards. It's not all toys though... The Plastik gallery hosted Gary Baseman for a Munny art show in '07 and is currently showing the sweet stencil work of French artist Christian Guémy (C215). See more of his work on his Flickr. Click through for more pics. If you're in São Paulo, you now have a new must-see on your to-do list. Even if you can't make it to the store, they've got a nice bilingual blog -- check it out. 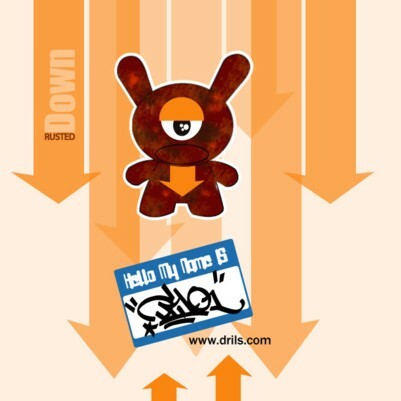 Looking for the latest designer toys and top streetwear brands? Give Möbius a look. 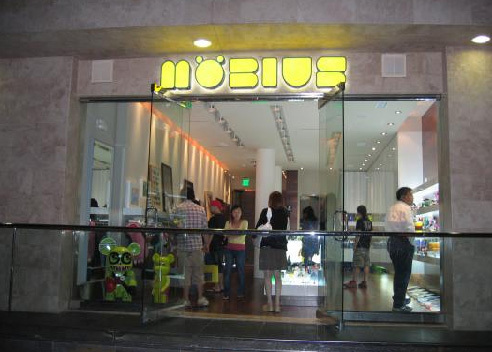 Opened in mid-June in Koreatown (LA) by owner Wonhee Lee, Möbius smoothly blends art and lifestyle together as represented by the inspiration for the store's name -- the undulating 'Möbius Strip'. The boutique offers a strong mix of the latest vinyl toys and streetwear (about 50-50) in a stylish space that also serves as a gallery connecting people to artists. Online shopping is coming soon but in the meantime go check it out in person. Also be sure to take a look at Wonhee's blog for more about the world of Möbius. It's great to see designer toys spreading throughout the huge sprialing maze that is Los Angeles. Fresh off the success of, Dot Dot Dash!, Die Gestalten Verlag (dgv) has launched their very own online store, Release The Freaks. 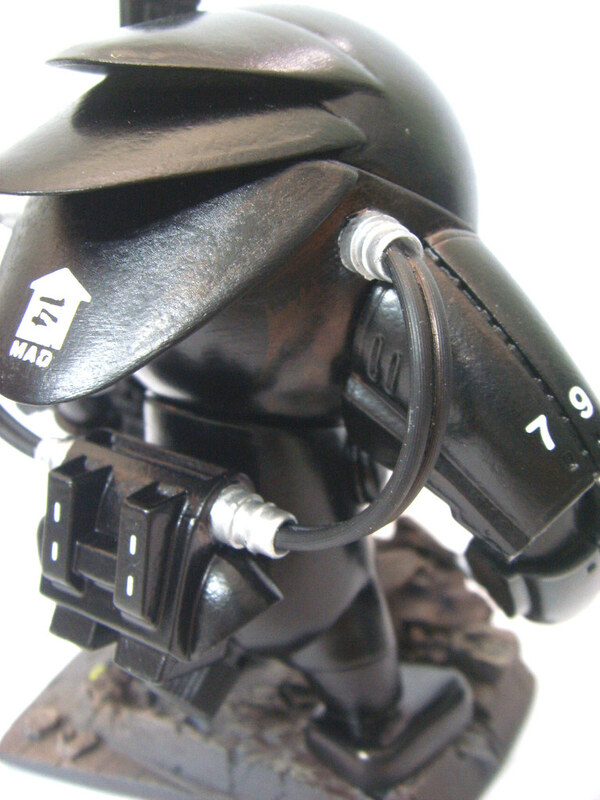 The store will feature a selection of familiar toys and a handful of hard to find pieces. Devoted to promoting the culture of character art labels and handmade limited edition art toys, you will find a wide range of offerings from Asia, US and Europe. Don't forget to sign up for their mailing list to get up to date information on new releases. To celebrate today's macabre date, 6-6-6, Span of Sunset is offering 18% off select items. There's some Secret Base in there, so if you're curious to see what the buzz is about or just need to fill in your collection, have at it! In addition, if you purchase at least $66.66 of merchandise at their Sunset store or Online, you will receive a free Black Metal SoS shirt designed by Andre Brandou. These offers are good through 06.09.06. 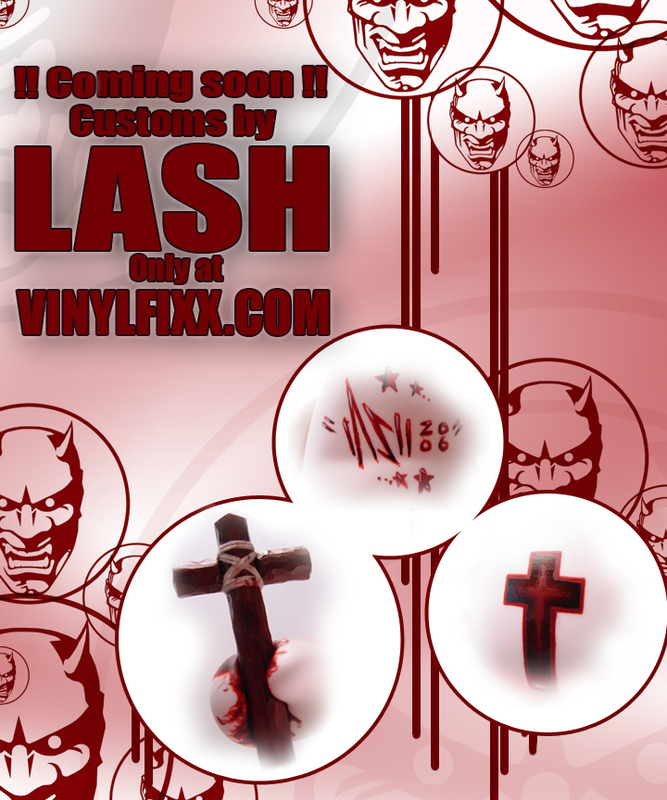 VinylFixx's custom gallery will have its Grand Opening on Thursday February 16th at 12:00 pm PST. 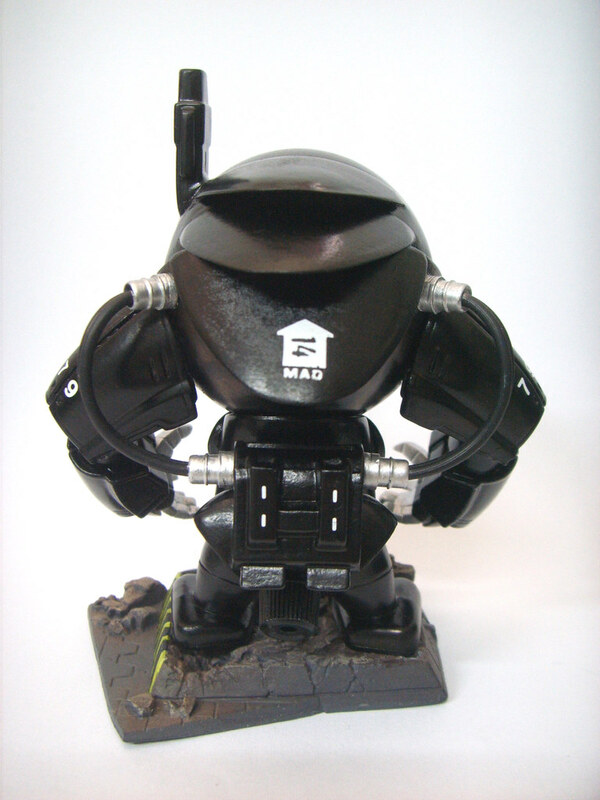 You will find a series of custom toys by several artists available for purchase online. 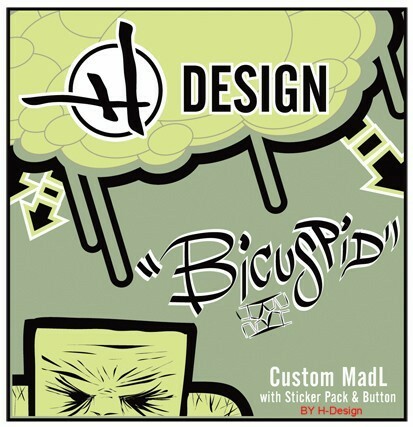 More items will follow thereafter from Jim Koch, Mimic, Brent Nolasco, LIV3R, Moodude and more. This is a great opportunity for you to own an awesome custom toy pieces. 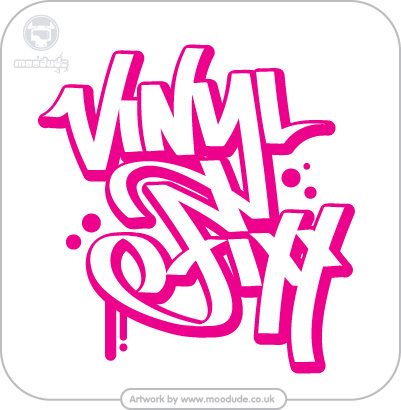 For more info please visit VinylFixx's website. 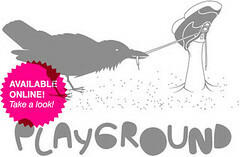 Melanie dropped us a line to let us know that Playjam #5 from Madam Edgar, a retail outfit based in Montreal, Canada, is now online. Playjam is a flash-based hybrid catalog / "magazine" that's done quite well. This issue has a nice selection of original and unusual toys -- the kinds of toys that typically don't get much attention (yes, we're slightly guilty of this too!). One hint: mouse down to the left/right corners of the "pages" in order to move back and forward through the content. If you're looking for something off the beaten path, check it out. The only downside is that there is precious little information about each product or the artists. By Peskimo NoStore is a brand new online site offering cool limited edition art products (mostly T-shirts at this point) from such top names as Jon Burgerman and Peskimo. While the shirts are quite nice, the really cool bit is that each artist has donated the art work featured on the products. 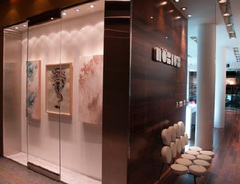 Thus, 50% of the proceeds from Nostore go to a charitable cause chosen by each artist. To wrap up, check out NoStore, buy a cool shirt or two and help a chairtable cause at the same time. Kudos to the founders of NoStore and the artists participating in this project! Exciting news! Four Three custom Funny Clubs done by Nakanari are available for purchase directly from Myplasticheart. I'm a big fan of customs partly because they're little bits of original art and partly because they are so rare, in fact unique. These are quite affordable and range in price from 55 to 65 USD, so get on it before they're gone (1 down already). Kudos to Nakanari and MPH for making customs so readily available to collectors. Buy 'em here. 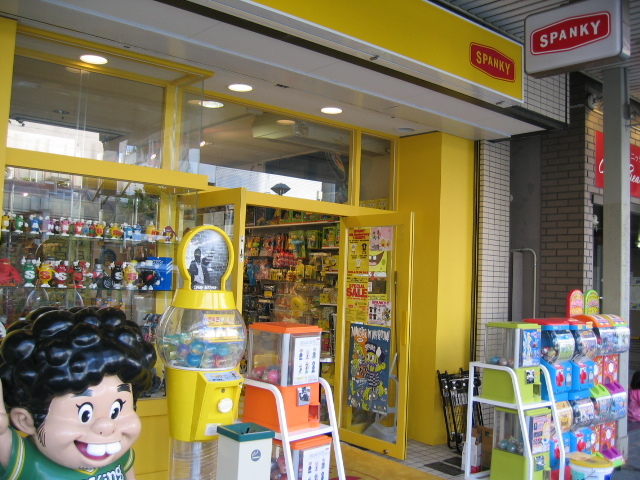 During my recent vacation to Japan, I traveled across city lines from Kyoto to Nagoya to visit the Spanky toy store. The owner, Ken Joho, kindly picked me up from the train station after my failed attempts to locate the store. Ken, a man in his mid thirties wore a pair of square “vintage” black spectacles, a purple Spanky t-shirt and pin striped loose pants. He guided me through alleys of stores lining an indoor arcade mall. He pointed out the former location for Spanky, which now serves as storage. He mentioned the expansion of the store and thus the store’s name, Spanky, “to expand”. Ken is also the owner of Headlock Studios which has produced several key vinyl figures such as Ray the Aersol can, and Touma's Snouts and Talons. After a short stroll, we reached the main Spanky store. A 4 feet tall big boy figure along with a few capsule toys machines stood before the entrance. Once inside, toys of all sorts laid before me. A quick scan of his inventory discloses the usual suspects such as Disney toys, Star Wars, The Simpsons. However, upon closer look I found a glass case of hard to find designer vinyl toys, such as the White Talon and Yellow Snout by Touma. A few Dalek 8” Qees also stood on the top shelves along with a handful of humanoid figures by Eric So and Michael Lau which were neatly hidden behind a selection of Scary Girl figures. Spanky #1 in Nagoya, JapanI was invited into Ken’s office and we quickly started talking about toy collecting. Ken, a huge Spider-man fan, started Spanky as a result of his first trip to the United States ten year ago, during which he spent a great deal of his visit shopping at flea markets and swap meets sweeping up everything and anything featuring the comic book superhero. When he returned home, he set up shop to sell his large haul of toys. From only a space no bigger than a typical kitchen, Ken’s business grew slowly and steady. Interestingly, Spanky’s creation is quite similar to the way in which Paul Budnitz started a small business selling toys from Hong Kong which would later become Kidrobot. 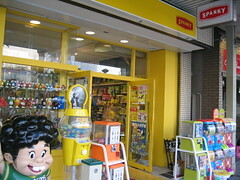 Today, Spanky consists of a main store which carries designer toys and a second store which mainly carries Japanese toys. Spanky also has an online store taking orders from all over the world. As his website might be challenging to navigate for non-Japanese, it is most likely easier to write Ken via email with your orders. 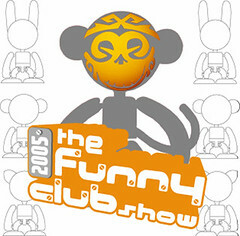 The Funny Club show which features over 140 customized versions of B.B. 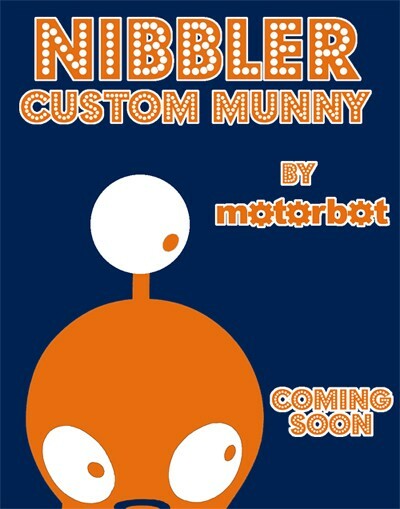 Birdy and Nakanari's Funny Club vinyl toy makes its final US stop at Munky King in Los Angeles from May 7th to June 11th. 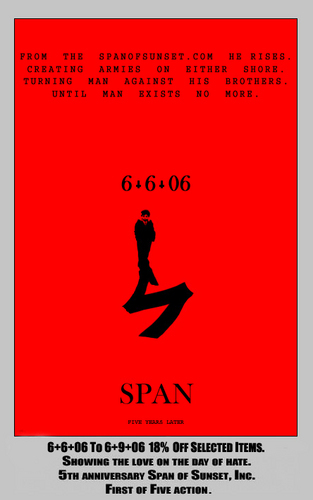 During the opening reception on Saturday May 7th from 7 to 11PM, B.B. Birdy and Nakanari will be customizing blank Funny Club toys on the spot. 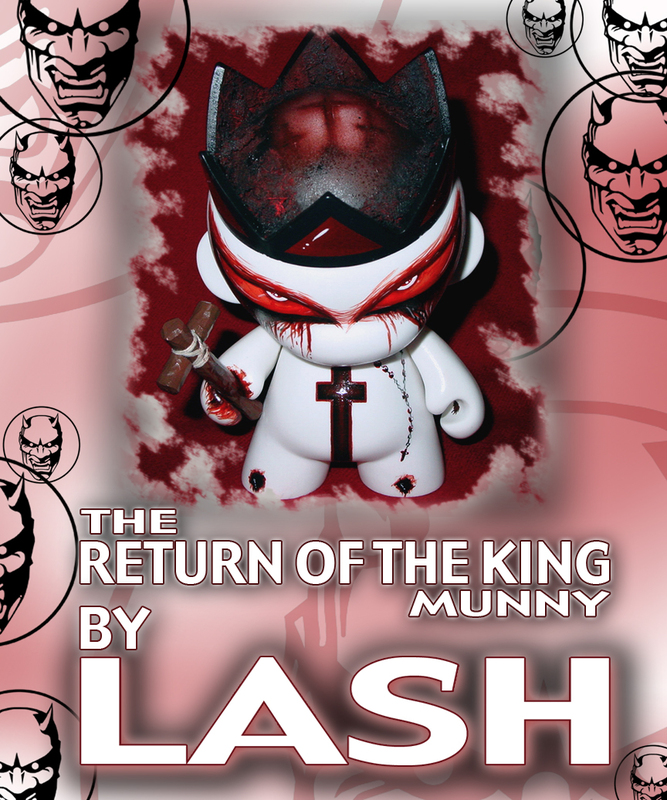 The list of artists who have contributed customs to this show goes on and on but includes such big names as: Sket-One, Huck Gee, Joe Ledbetter, Gary Baseman, Frank Kozik, miQ wilmOtt, and MAD! Check the FULL list here. This show was previously at Rotofugi in Chicago and pics are available from B.B. Birdy, Evil Vince and Ironcow Productions.